Even the doctors hate Labour. 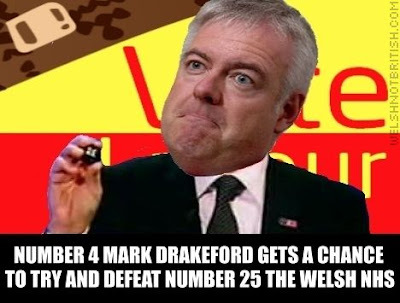 Literally one day after it was announced that the Welsh ambulance service has failed to hit it's target for the ninth month in a row it has emerged that half the A&E consultants in Wales have signed a letter to the new health minister Mark Drakeford. First of all I would like to congratulate Labour. 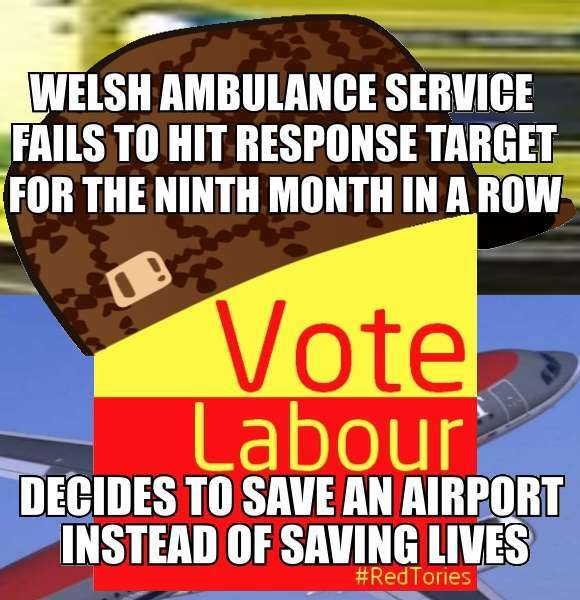 The ambulance service in Wales has failed to hit it's response time target for the ninth month in a row. Whether this is through sheer incompetence, lack of interest or deliberate sabotage is irrelevant. It's still such a fantastically bad achievment that it deserves praise. 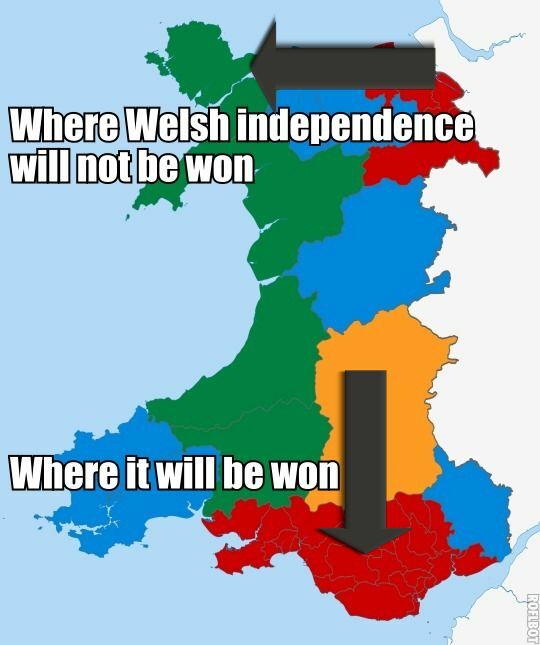 Such is the level of this epic fail by the Labour Party, countless babies will have been conceived and born all across Wales during this period of sustained failure. So after nine months of failing, what do they finally do? 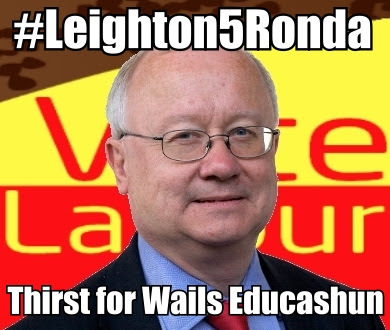 You may have heard about "The West Lothian Question". 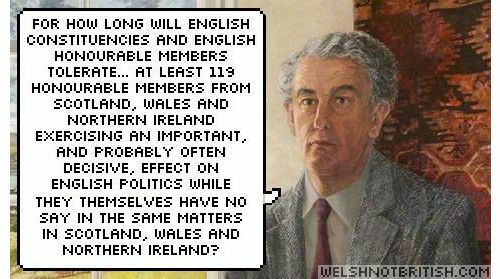 It dates back to 1886 in one form or another but it's present incarnation (and catchy name) stems from 1977 when a Labour MP from West Lothian asked the following question. 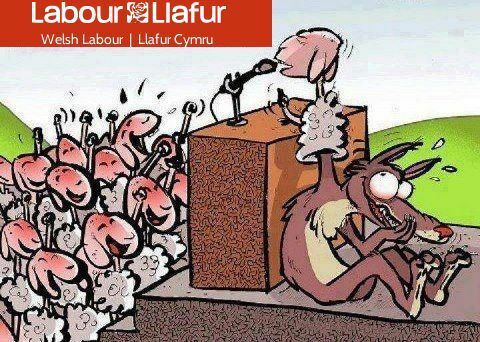 It's that time of year again when the Red Tories gather together and back slap each other and come up with brand new ways to screw Wales over without making it look too obvious. They will be using the #WelshLab13 and #LlafCym13 hashtags so they can give each other virtual reach arounds as they talk about the deliberate sabotage of Wales. So in honour of this deliberate sabotage, I invite everyone to 'liven' up an otherwise dark and dingy hashtag. I shall update this page with a selection of musings throughout the weekend. You can click the tags above to see them all. 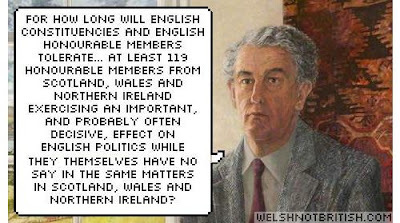 The 'end of' Leighton Andrews. Once again the subject of tuition fees are in the headlines again as the BBC pushes the story of Welsh university students having their tuition fees subsidised. The problem though is that it isn't just Welsh students studying in Welsh universities that are being subsidised by the Welsh Labour Government. They are also subsidising those students who go on to study in England and the rest of the UK. The six nations is almost over for another year. 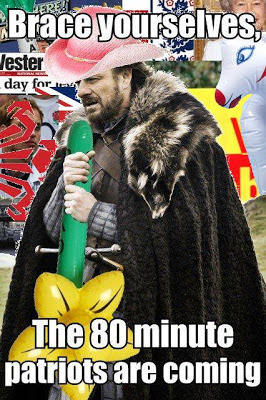 The 80 minute patriots are about to use their fluffy pink cowboy hat one last time before returning to their default position of not caring about Wales, a region of the English empire that only exists to them for 80 minutes at a time sporadically throughout the year. Wales is just behind the USA when it comes to obesity warned Dr Nadim Haboubi in August 2012. 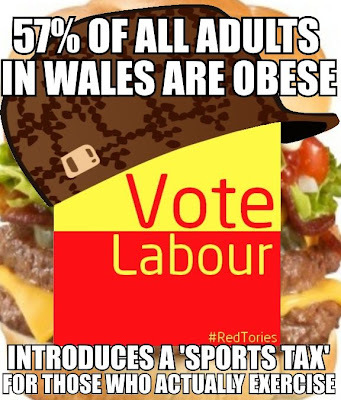 57% of all adults in Wales are obese according to the Welsh health survey from September 2012. And more recently in February 2013 the Labour run Welsh Government started talking about introducing legislation to combat our obesity epidemic. "The Great Famine", as it's often described is nothing more than the British states interpretation of the mass genocide carried out by Britain on the British subjects of Ireland. For it's important to remember that the Irish Holocaust of 1845-1849 was over 70 years before Ireland declared itself independent. Labels: Proud, Proud to be British? There are 365 days this year. St Davids Day occurs once a year, as a fraction that is 1/365ths. As a decimal that is 0.0027 and as a percentage it is 0.27% of the year. I think you get the point that it's a relatively short space of time in comparison to the whole year. 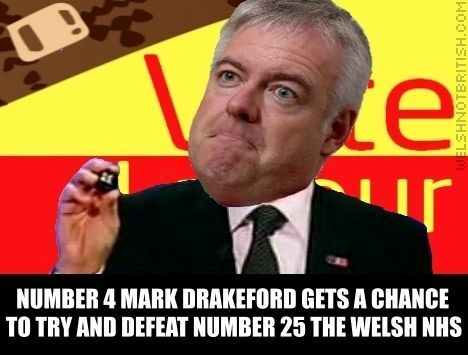 Save the Valleys, save the country! Since everyone should already know what day it is today I decided to have a little fun instead.